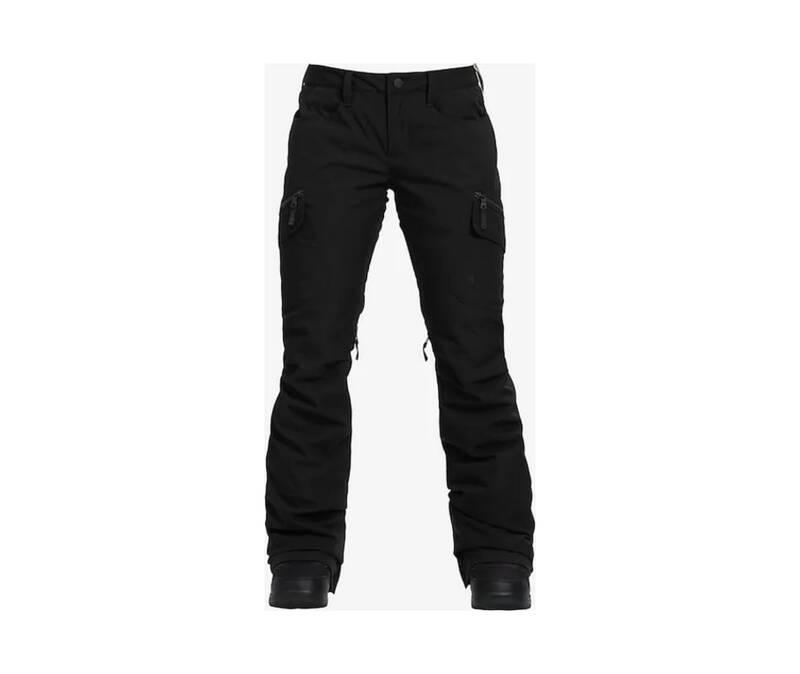 Slimmed up and tailored to fit like your favorite pair of low-rider jeans, the bestselling womens Burton Gloria Pant is a waterproof wonder that also includes a touch of stretch so theres no compromise in coverage or comfort. The silky soft stretch taffeta lining wicks away heat-robbing moisture and slides smoothly against your skin or base layers. Constructed with a conscience, the Gloria Pant features bluesign approved DRYRIDE 2L fabric in the majority of colorways that reduces impact on both humans and the environment. Hidden features include heat-releasing inner thigh vents, Anti-Scuff cuffs to prevent parking lot abrasion, and expandable snow-proof gaiters that easily slide over boots.